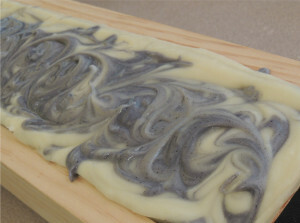 This month’s challenge was titled the ” Holly Swirl” after Holly Bailey who first demonstrated this swirl-in-a-swirl technique. 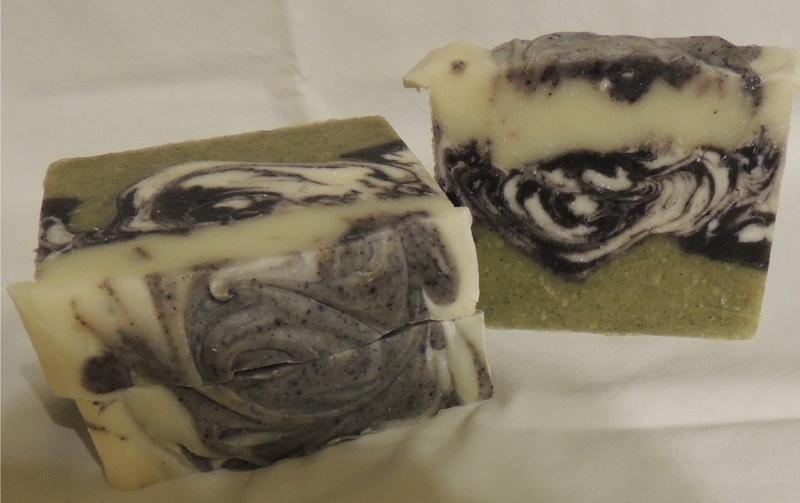 It was great fun and something I really want to add to some of my soaps going forward. Amy from Great Cakes Soapworks has been leading these wonderful challenges encouraging us all to push the envelope on our talents. I was very pleased with how it turned out. The exciting part was cutting it the next day to see how the bars came out! I used alkanet powder for the purple and nettle powder for the green and added some titanium dioxide to brighten the white. 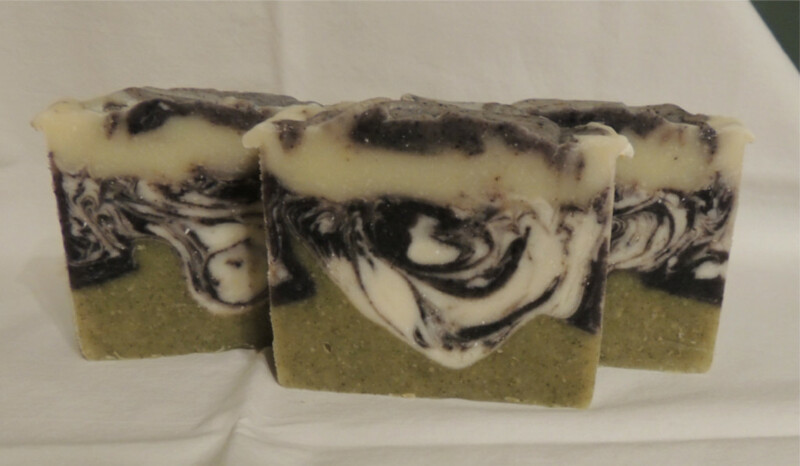 I scented it with Lavender-Peppermint and a touch of Rose Geranium and it smells wonderful! Fall is just the start…..
Can you believe that cupcakes can be a challenge? Love your choice for natural colorants! Thanks Natalia, love the combo of colors on your soaps also, agree I want to use this technique more too! Dianne thank you and love your black/white contrast. Love these challenges, really push the envelope! Your colors are very fitting for the fragrance… great job! So pretty, Marilyn! I haven’t ventured into the natural colorants because they seem so unpredictable…this looks fantastic!! Great contrast! thanks so much & thanks Amy for the challenge~ want to play with this technique more! I have not had good luck using alkanet but your color contrast is really nice. Love your essential oil choice too. Your inner swirl is great! This is a beautiful example of the Holly Swirl. Very pretty swirl! I love how the soap turned out. thank you and love your blog!